1. Welcome back to the Premier League! Tell is a bit about the year in the Championship. It was fun, but I’m glad we were only in the Championship for one season. Our achievements have been somewhat underplayed due to the size of our club and the fact we had Rafa as manager, but if you look at the struggles of Aston Villa, Sunderland and Middlesbrough after relegation, it was impressive we returned at the first attempt. At times, we dropped silly points, but our style was more suited to the Premier League. We are best when counter-attacking and we had to dominate games in the Championship. 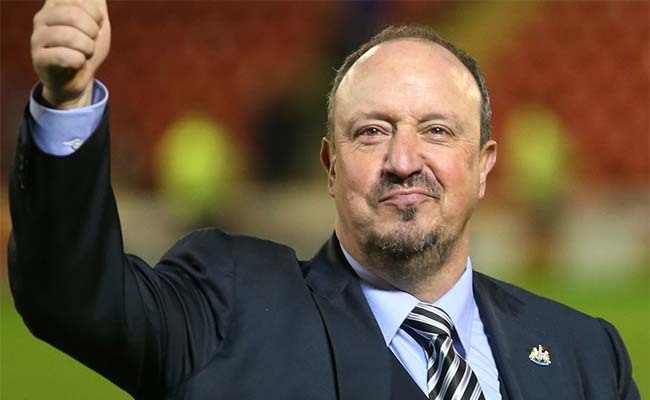 Over the course of the season, the fans got back on board and the connection with the club improved – all thanks to Rafa. 2. What are your thoughts on the start of the season? Are you satisfied with your team? I think we’ve started the season well and arguably deserved more than the 9 points we have collected. We were unlucky to get beaten by Huddersfield and Brighton considering both matches could have gone either way. We already look like a Premier League team and that is testament to Rafa’s managing ability. A bit more quality would help, but we are more than good enough to secure a safe mid-table finish. 3. Can you tell us a bit about the problems with Mike Ashley? It’s weird with Ashley as I don’t think he actively tries to annoy the fans like many suggest, I just think he is clueless when it comes to football and takes advice from the wrong people. It looks like he is trying hard to sell the club which might explain lack of investment during the summer, but this summer was when we felt the full force of relegation, as we didn’t get the television last season. I’d like to see him sell up, but I’m by no means his biggest critic. 4. What has Rafa Benitez brought to Newcastle? How important would you say that he is for your club? Rafa has done a superb job and I couldn’t praise him highly enough for that. He should be managing at a higher level, but he enjoys the relationship he has with the fans and wants to see this job through, whether he will or not is another question. He is our greatest asset as he gets the most out of the squad and with him in charge, we will give any team a good game. There are limitations to what he can achieve this season, but in a one-off game, I’d back us against anyone. 5. How would you describe Newcastle 2017/2018? We are a hard-working side that look to stay organised and play quick, effective football when we do have possession. The players are good at making the most of any possession we do have and we often have more shots than the opposition with less possession. Set pieces are one of our strong suits and we need to take advantage of those if we are to succeed against the bigger clubs. 6. Which players will be key players for you this season? Mikel Merino looks a classy player based on his first few matches for us. We got him on loan from Borussia Dortmund and the deal will become permanent once he plays a certain amount of games – I believe 20. He is too good for us and looks destined to play on a larger stage and shows Rafa still has an eye for a player. Matt Ritchie, Jamaal Lascelles and Jonjo Shelvey will all be important as the season progresses. 7. You have two players in your team who previously played in Liverpool, Javier Manquillo and Jonjo Shelvey, what are your thoughts on them? Manquillo came in and was met with scepticism based on his performances for the Mackems (Sunderland), but he has done well when he has played for us. 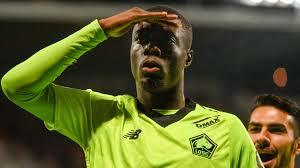 He is a player that will benefit from working with Rafa and offer good competition for DeAndre Yedlin. The fee we paid could prove to be a real bargain. Shelvey is an interesting one as he should really be playing for England based on his ability. When he is on form, he is exceptional and he has gained more consistency under Rafa, but he always has the ability to do something silly like he did against Spurs. At the moment, he is out of the team and being punished by Rafa for that. He has all the ability in the world, but he needs to sort his head out or he might not have a future with us. Rafa only wants players that he can trust and he can’t trust Shelvey right now. 8. What kind of game do you think we will se this sunday? Älskar när ni intervjuar personer inför matcherna. Speciellt när det är personer från England. De är så väl insatta och har oftast ett annat djup än när ni intervjuar svenskar.